ocean special, a photo by eatzycath on Flickr. 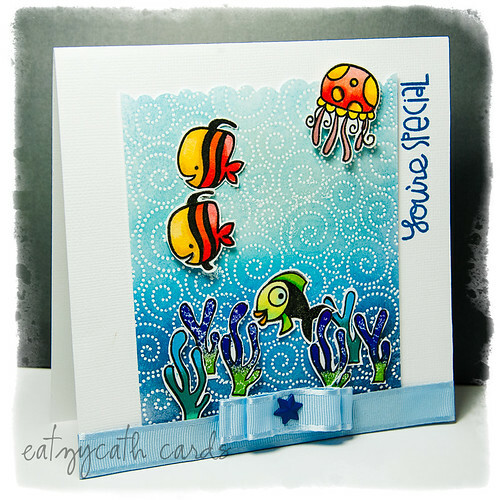 All the little fishes, jelly-fish and sea-weeds are stamped using Paper Smooches - Briny Blue stamp set - colored with Copic markers, cut and fixed onto the blue background, some with foam tape for dimension. PS Note: this card was my very first "Featured Player" mention for a PS SPARKS challenge... hip hip hurrah! LOVE your swirly background & gorgeous bright colours Cath. BEAUTIFUL scene! LOVE the background and all the fun critters! So glad you played along with us this week at Paper Smooches SPARKS challenge!!! Oh my, this is stupendous. 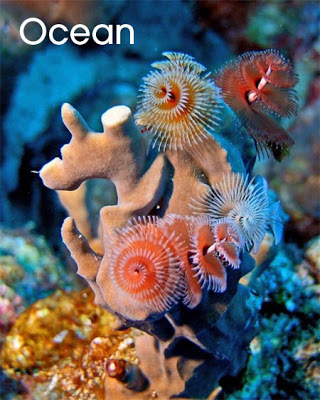 Love the gradient shading on the background and the bright fabulously colored elements of the sea life.